You can’t come to Barcelona without seeing their world famous football team, FC Barcelona in action! 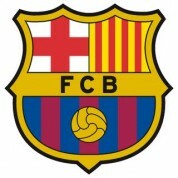 Barcelona FC are considered to be one of the best teams with some of the greatest players in the world! Book early to avoid disappointment! Price includes hand delivery by registered courier or they can be collected from the stadium prior to the game. Prices may vary due to the opposition.